Trainwreck drops in UK cinemas this week. Directed by US comedy godfather Judd Apatow, it’s the first big movie written and starring pretty much the funniest woman in America right now, Amy Schumer. 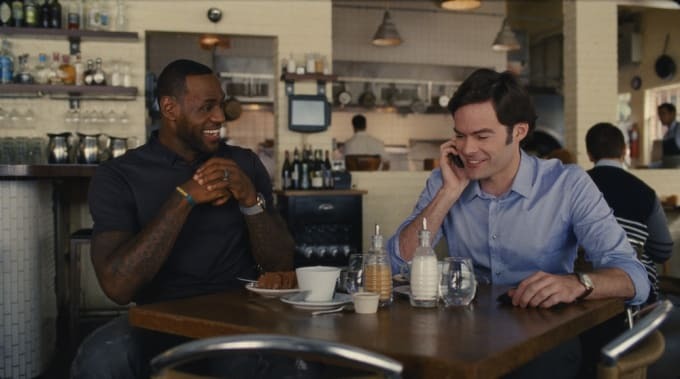 And while there’s plenty of great supporting actors in the film, like Bill Hader, Brie Larsen, Tilda Swinton and Ezra Miller, the guy who steals the film is Lebron James. Yup, that Lebron James. NBA All-Star Lebron James. Really. He is legit the funniest thing in the whole film. Athletes trying to act doesn’t normally go this well. They might be great on the court, or on the pitch, or in the ring, but stick a camera on them and they have the charisma of an inanimate carbon rod. Some of them manage to resemble human beings though, and a rare few even get near the heights of Lebron. Here are some of the best, and, well, weirdest.